Netflix's stock was down over 14% in after-hours trading yesterday after the company reported that it missed expectations on revenue and subscriber growth. Stocks for almost every other tech company in the streaming business were also down after the news broke. Why it matters: Netflix's miss reignites debate around whether the new tech economy, where companies are highly-valued despite being barely or far from profitable, is sustainable long-term. 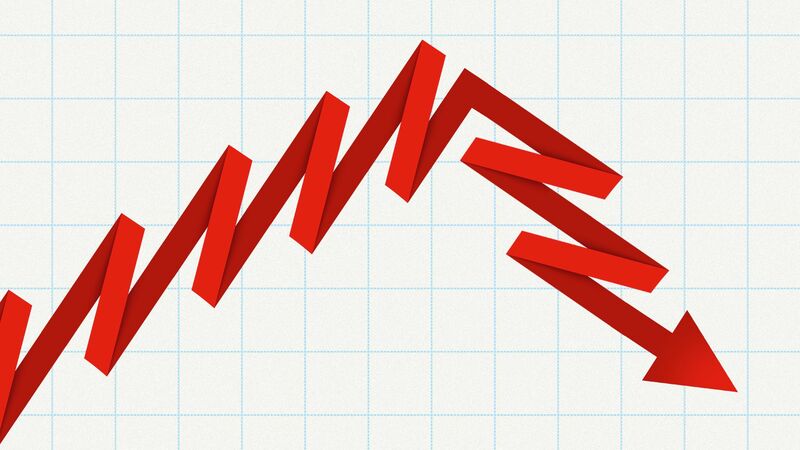 Between the lines: Netflix missed its own subscriber growth expectations by a million users and admitted its fastest growing expense is marketing. What troubles investors: If Netflix is approaching domestic market saturation from a subscriber perspective, and it’s heavy marketing spend isn’t showing return, the potential to turn cash flow positive could be lower. "The bulls expected continuing upside to their subscriber guidance ... and when those expectations were cracked, the stock cracked," said Michael Pachter, managing director of Equity Research at Wedbush Securities. Be smart: Most analysts agree that Netflix's momentum wasn't sustainable, especially in the U.S., where analysts say the tech giant was beginning to reach a point of saturation. Jill Rosengard Hill, EVP at broadcast research firm Frank N. Magid Associates, tells Axios their research predicted a 2% net decrease in subscribers for Netflix in the U.S. six months ago. The streamer is also facing increasing competition from other subscription video on-demand companies gaining market share, like Amazon, HBO and Hulu, as well as legacy media companies looking to break into the on-demand economy, like Disney and AT&T, says eMarketer principal analyst Paul Verna. Bullish investors argue that the company will bounce back, and that Netflix is still an attractive investment for the foreseeable future. "We're not concerned about the business. We love the way the numbers are trending. The only issue anyone has with the stock is the valuation." The bottom line: The corporate structure of newer tech companies, as well as the pace of tech innovation, has caused investors to reward companies that can scale and adapt to consumer trends quickly, as opposed to companies that focus on consistently delivering profit, like legacy media networks. Because of this, streaming companies are able to invest billions of dollars in creating and buying content to lure viewers from traditional networks, creating a virtuous cycle of dominance. Case in point: Netflix topped HBO for the first time in 17 years with the most Emmy nominations for a network this year. What's next: None of Netflix's competitors consistently disclose subscriber numbers, but earnings over the next few weeks for AT&T (HBO's new owner), Amazon, and Hulu's owners (Disney, Comcast, Fox and Turner, now owned by AT&T) could shed light on their content strategies. Snapchat is launching a news partnership initiative with the goal of helping journalists and news organizations better mine the billions of public videos and photos shared daily on Snapchat for news and information. Details: Snapchat is partnering with four news discovery platforms to give journalists access to better tools that will help them uncover Snap pictures and videos during breaking news. None of the four partners, which all focus on news discovery and verification, will charge news companies more for their services with the addition of the new data because Snapchat will be providing the data for free. Representatives from all four companies tell Axios that the inclusion of the data — mainly from Snapchat's geo-location services through Snap Map — will primarily make it easier for news organizations to uncover and verify breaking news video faster. Former Storyful exec Rahul Chopra will spearhead the program. Chopra, who leads Snap's "Stories Everywhere" push to get Snapchat content off if its platform, says one of the reasons Snap is offering the data for free is in part to create better relationships with the news industry, and particularly the local news industry. Fox News anchor Abby Huntsman: "No negotiation is worth throwing your own people and country under the bus." Fox News chief White House correspondent John Roberts: “There's a growing consensus that the President threw the United States under the bus." Fox News host Laura Ingraham: "Don’t use 'strong and powerful' to describe Putin’s denial re. election meddling. Use words 'predictable and damaging to US-Russian relations' to describe Russian meddling." Fox Business host Trish Regan: "This was clearly not [President Trump's] best performance. He's done a whole lot better than this. He should have defended us. He should have defended his own intelligence community." 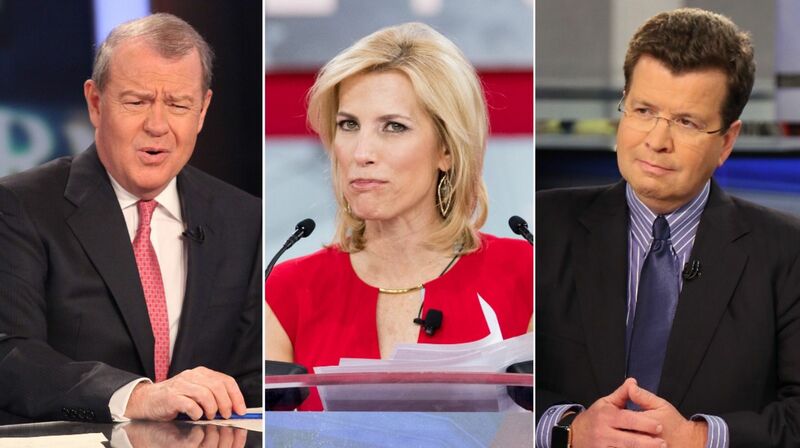 Our thought bubble: Fox news defendants will likely point to today's condemnations by Fox talent as an example of Fox's journalistic credibility for months to come. Some Fox hosts, though, still made excuses. Tucker Carlson, who has an interview with Trump tonight, said from Finland: "The idea that where you are on Russia is the defining question, like, that's kind of demented, actually." Sean Hannity praised Trump during a post-summit interview in Helsinki: "You were very strong." Politicians on the left and right are manipulating the news to bolster their election efforts with fake headlines, websites and articles. Why it matters: Media manipulation has always been a part of the political playbook, but technology has enabled politicians to take the practice a step further by changing or mimicking real stories and news outlets to mislead voters. The latest on the left: New Jersey Sen. Bob Menendez has set up a website called HealthNewsNJ.com that at first glance looks like an upstart health website, but is actually backed by the senator's campaign, per STAT. The headline article reads, "How greedy drug company CEO Bob Hugin gouged cancer patients and enabled Donald Trump." Hugin is running against Menendez for Senate. On the right, fake news websites backed by political candidates and groups have been popping up all over the country. In February, Arizona Senate candidate Kelli Ward touted an endorsement from a fake-news site to voters, per Politico. The endorsement came from a site that is part of a string of fake news websites backed by Republicans, built to look and sound like real news websites. Last fall, the Republican Governors Association launched the "Free Telegraph," a website filled with articles that look like real journalism, but only provide one-sided support for Republicans. The RGA didn't disclose its affiliation with the site until the group was asked about it after the site launched. Americans have strong opinions about which issues brands should stay away from in the age of Trump. Why it matters: Corporations are facing enormous social pressure, especially from younger generations on social media, to fill a void left by governmental gridlock and mistrust of government as an institution. But it can be tricky for a brand to determine which issues to take a stand on and which to avoid. Support for civil and gay rights are the least controversial political positions brands can take, according to a new Morning Consult survey. By comparison, fewer people thinks brands should speak out for issues around gun control. Abortion remains deeply divisive. FCC chairman Ajit Pai has enough votes to get an administrative law judge to consider his "serious concerns" about Sinclair Broadcast Group's purchase of Tribune Media stations, Axios' David McCabe reports. Tech and telecom companies are trying to create marketing platforms that could potentially compete with Google and Facebook. The latest: Salesforce announced Monday it's buying Datorama, an Israeli marketing analytics platform, at an estimated price of over $800 million. July 10: Ad tech firm MediaMath raised $225 million from Searchlight Capital Partners, bringing its total fundraising rounds to $500 million to date. June 25: AT&T said it is acquiring ad tech firm AppNexus for an estimated $1.6 billion. June 4: Private equity firm Vista Equity purchased a majority stake in digital ad measurement firm Integral Ad Science for an estimated $850 million. Latin music, Hip Hop/R&B and electronic dance music are the most streamed music genres in the U.S., according to Nielsen's mid-year Music Report. Older genres of music, like Jazz and Classical, are still mostly consumed in non-streaming formats, like physical albums or purchased digital albums. Hip Hop surpassed Rock to become the most popular music genre at the end of last year, per Nielsen. The top five Hip Hop/R&B artists this year so far are Post Malone, Drake, Migos, J. Cole and XXXTentacion.